This show should be totally dope! 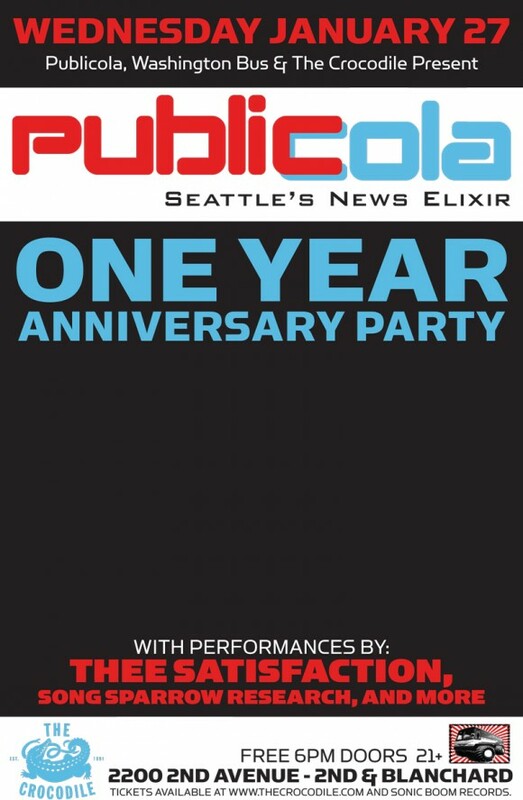 This coming Wednesday, Jan 27th, we are playing Publicola‘s one year anniversary party at the Crocodile with THEESatisfaction and CMYK and it’s free. That is you do not have to pay to get in. Let me say once again, FREE SHOW AT THE CROCODILE WITH THEESATISFACTION. Ok that should be fine.